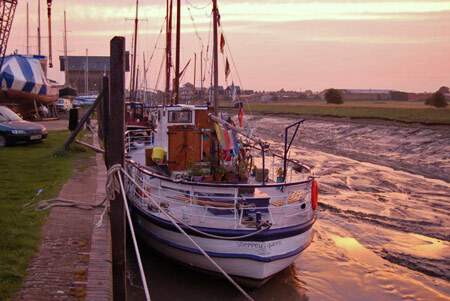 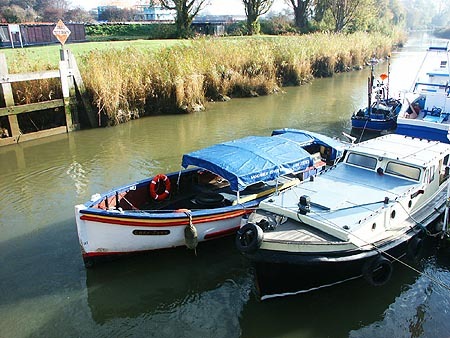 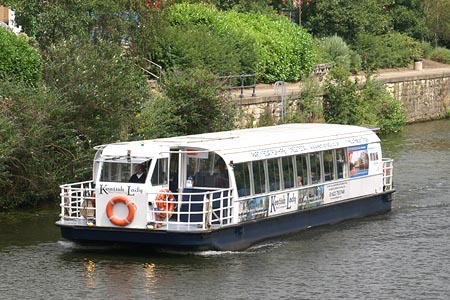 This page is devoted to postcards and photographs of old and new smaller excursion vessels and ferries of Kent, not covered on other dedicated pages on larger companies such as New Medway SP Co. Not all these boats are still in service. 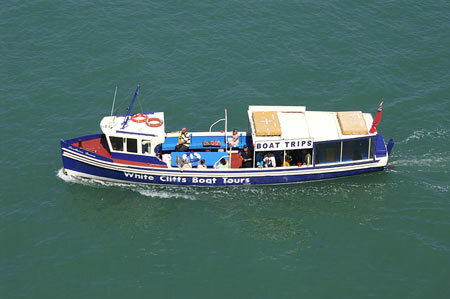 Invicta Line Cruises of Chatham began services between Southend and Strood c.1985, using the Clyde and Thames Queen. 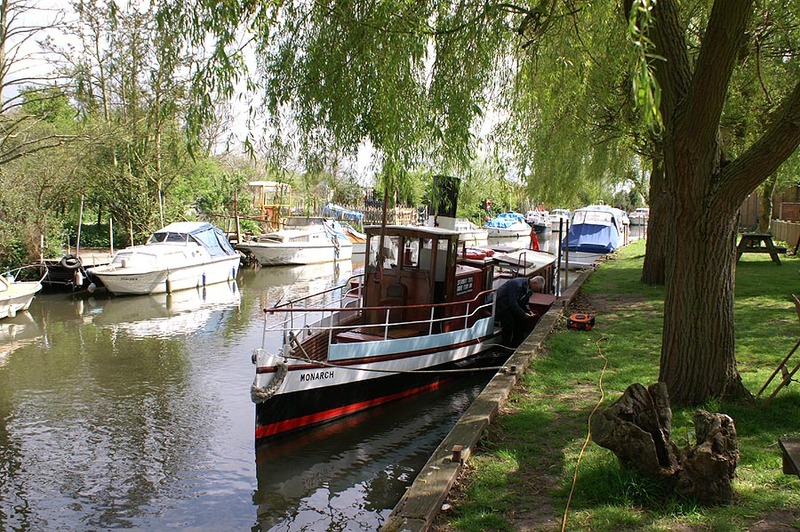 Thames Queen was sold by Invicta Line in 1987, to be replaced by Clairest in 1989. 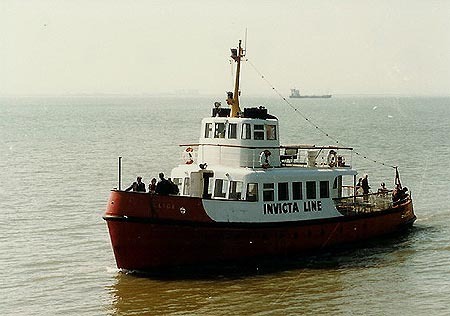 Invicta Line ceased operations c.1992. Clyde in the Thames between Southend and the Medway. 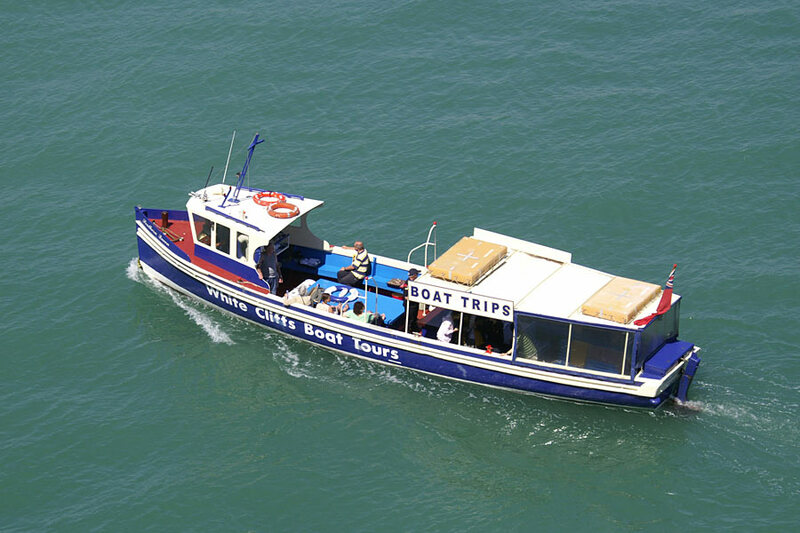 Clyde arriving at Southend Pier. 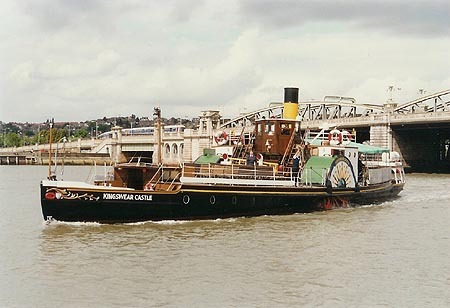 Kingswear Castle (2) was built for the River Dart Steam Boat Company in 1924 using the engines of her predecessor Kingswear Castle (1) of 1904. 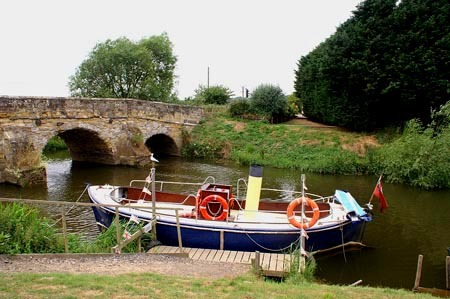 Her design essentially dates back to the Berry Castle (1) of 1880. 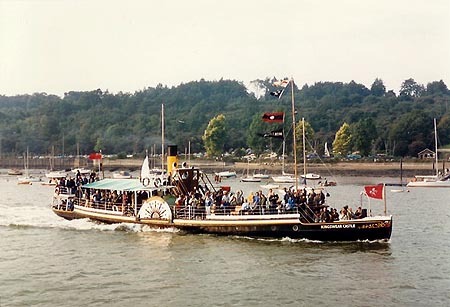 Kingswear Castle (2) ran on the Dart until 1965, when she become uneconomic compared to more modern motor vessels. 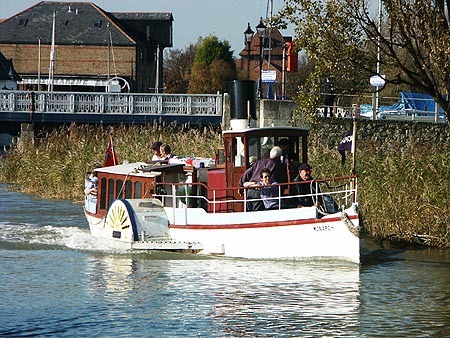 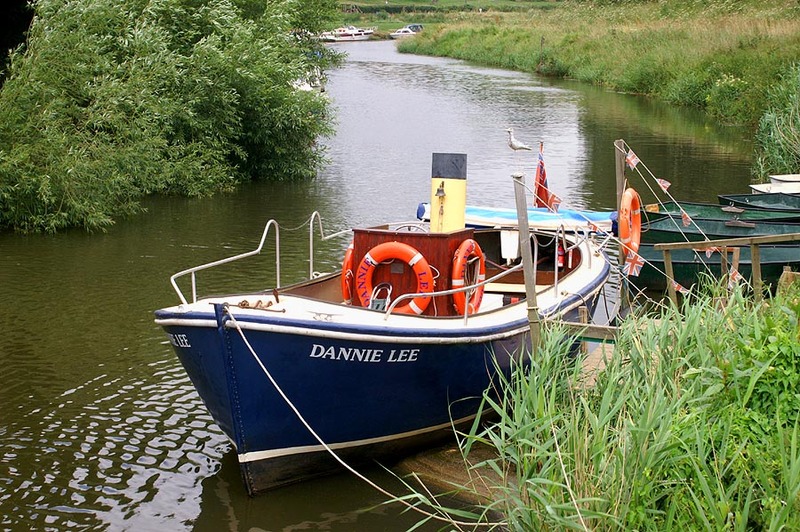 She was eventually sold to the Paddle Steamer Preservation Society, who restored her on the River Medway for a full return to service in 1985. 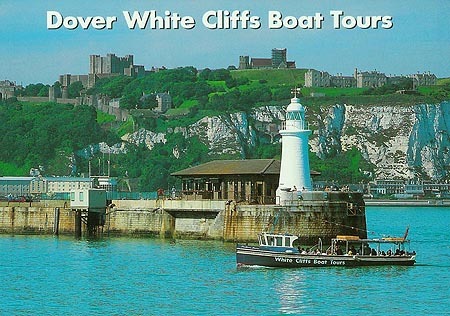 Visit www.pskc.freeserve.co.uk for details of Kingswear Castle (2) excursions, including visits to Southend. Photo: &COPY; Ian Boyle, 1985. 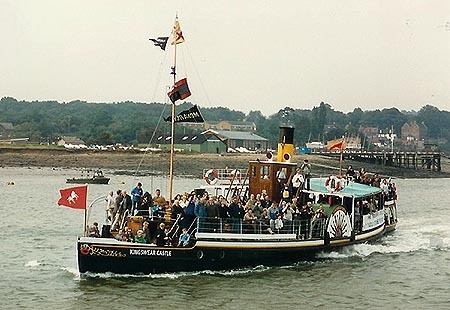 Kingswear Castle arriving at Strood for a cruise to meet the Waverley. Kingswear Castle on the River Medway, photographed from the Waverley. 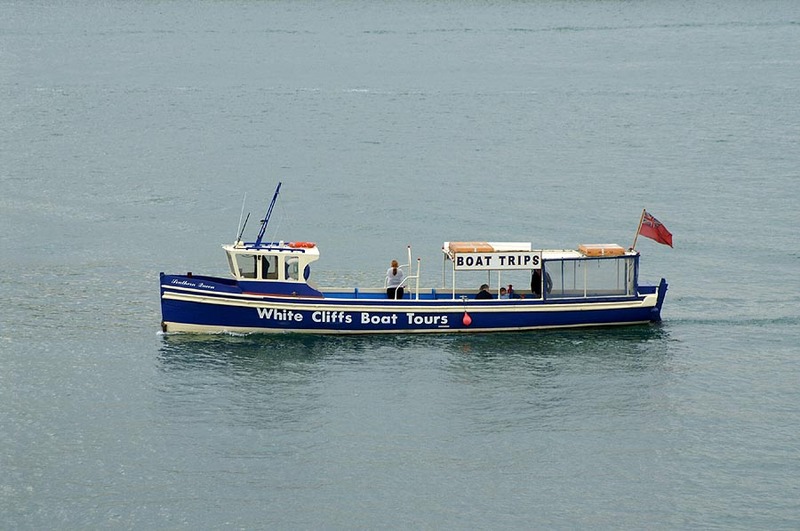 Kingswear Castle at Rochester Pier. 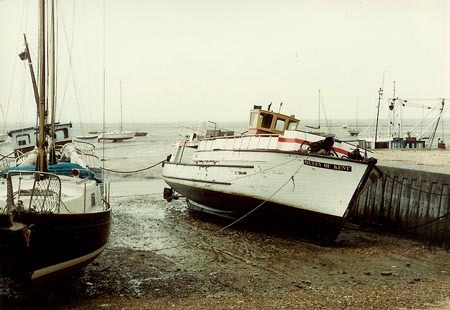 Photo: &COPY; Ian Boyle, 1997. 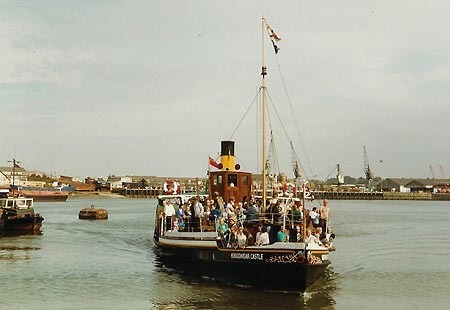 Kingswear Castle arriving at Strood Pier. 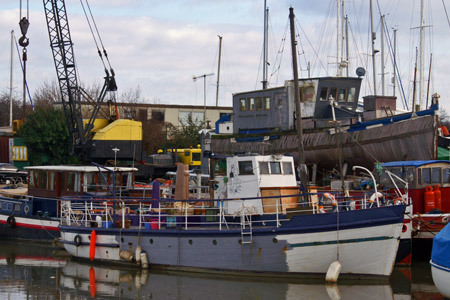 Photo: &COPY; Ian Boyle, 26th March 2005. 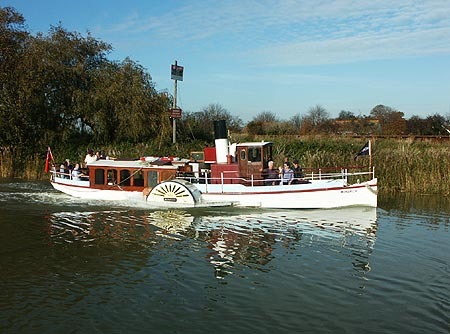 The small Monarch is the third paddle steamer of this name, following two owned by Cosens & Co. She was designed and built by her owner, Brian Waters, and is named after the first Monarch. 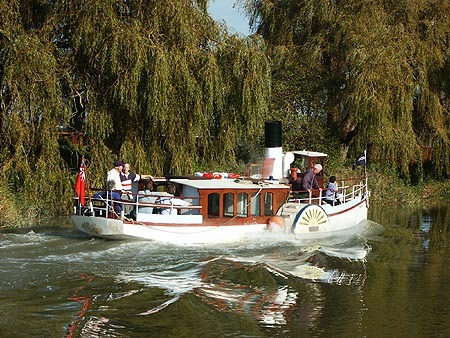 In 2004 she operated on the Stour River Bus service in Kent with the Lady Jane. 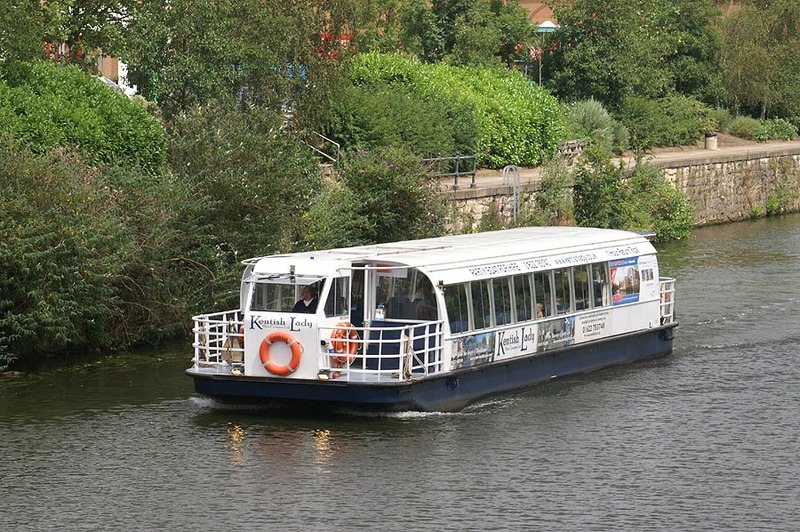 Monarch (3) carries twelve passengers with seating space on deck and also in a comfortable saloon aft. She has taken almost 20 years to build, entering commercial service in 2004, running charters and some public sailings from Sandwich. 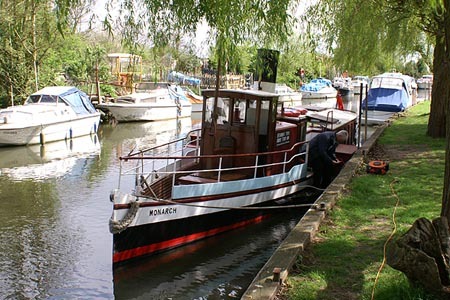 Two friends and myself chartered the Monarch (3) on 30th October 2004, to celebrate our 50th birthdays. 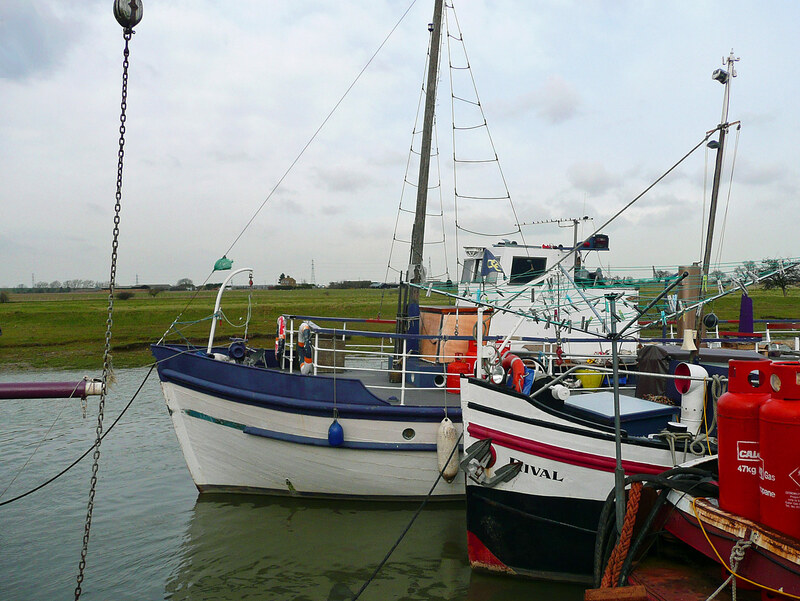 Pictures from this charter. 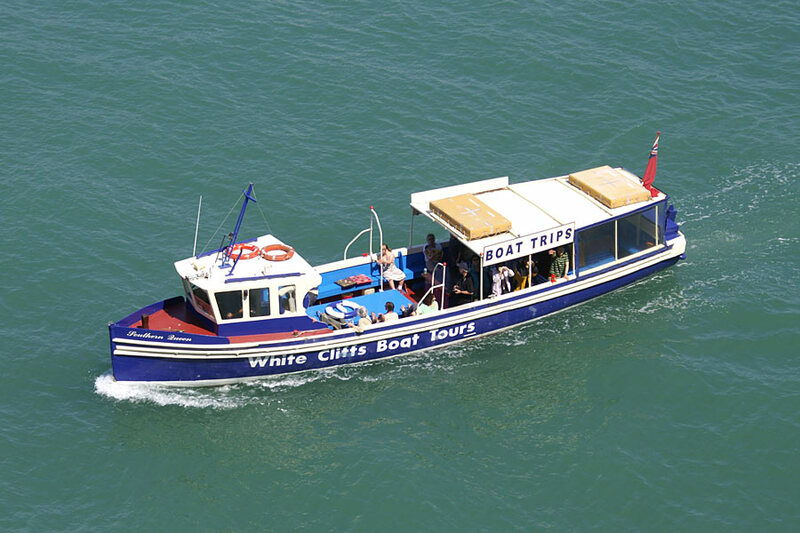 This was an extremely successful event, and the charter of Monarch (3) for small parties (maximum 12 passengers) is strongly recommended. 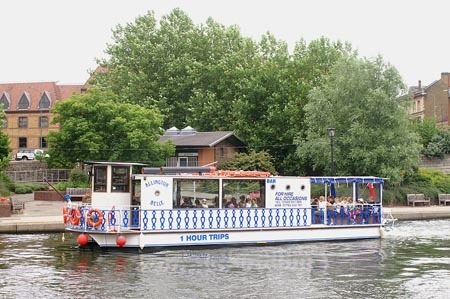 For 2005 operations shifted to Grove Ferry (9 miles upstream). 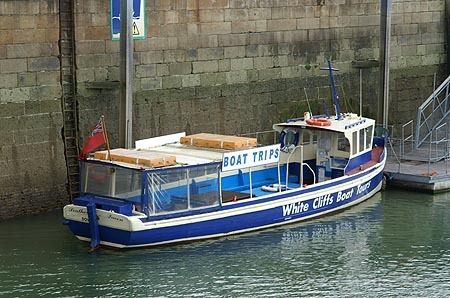 In 2008 she relocated to the Isle of Wight and in 2010 to to the River Tamar in Cornwall. 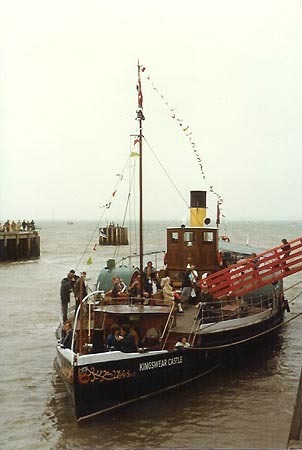 Monarch (3) leaving Sandwich Town Quay on a public sailing. Photo: &COPY; Ian Boyle, 30th October 2004. 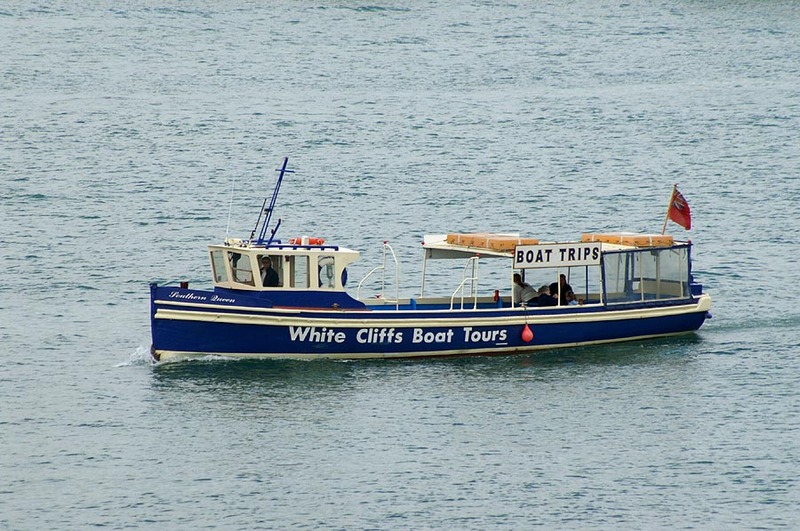 New Golden Spray was operating short coastal cruises from Ramsgate and Margate in the mid-1970s for M.J.Pett of Ramsgate. 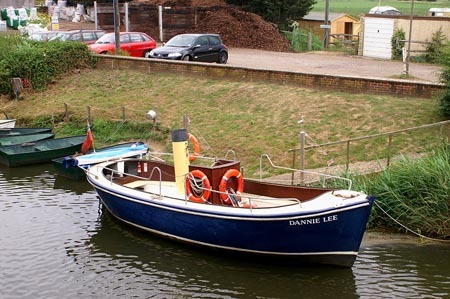 She had become Queen of Kent for D.Rose of Rochester by 1981, running excursions from Southend and the Medway towns of Rochester, Aylesford, Faversham etc. 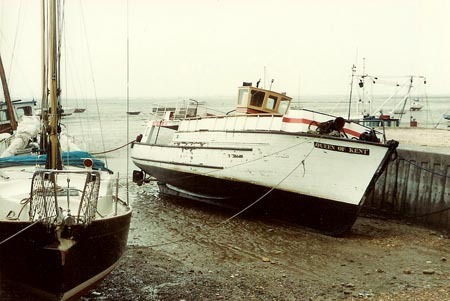 Queen of Kent at Leigh-on-Sea in poor condition. 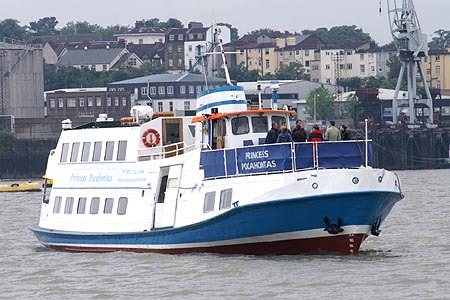 Princess Pocahontas was built in Rendsburg as the Kieler Verkehrs-AG ferry Laboe in 1962. 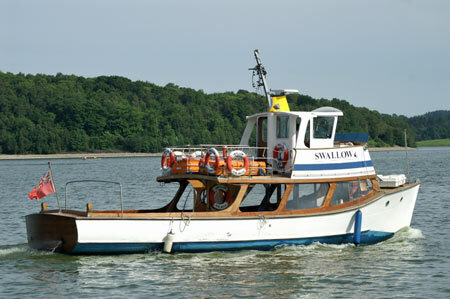 She operated in the Kiel Fjord. She was 33.51 metres long and 140 gross tons. 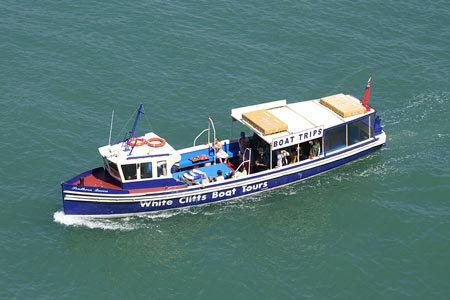 200 hp engines gave a speed of 11 knots. 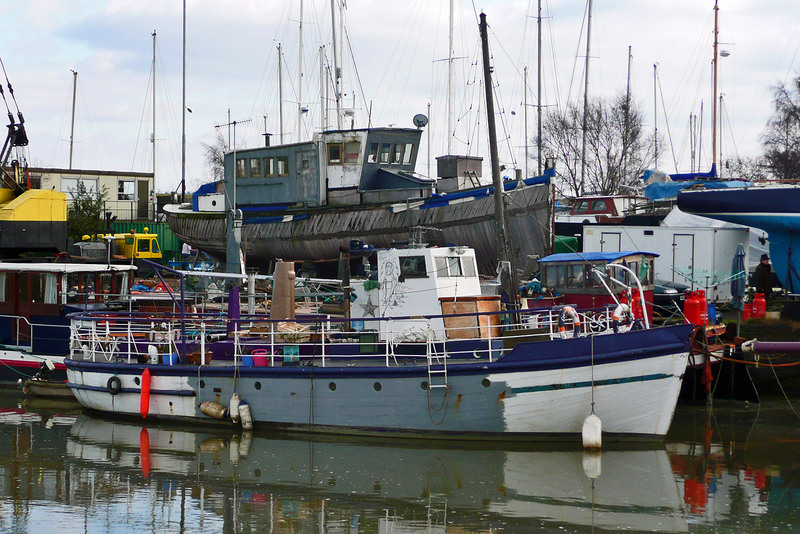 In 1984 Kieler Verkehrs-AG had a new Laboe built, and the 1962 vessel was sold to Viking Reederei Personenschiffahrt of Flensburg, and renamed Freya II (1). She was sold in 1988, and replaced by a similar looking Freya II (2) (the chartered Kollund). 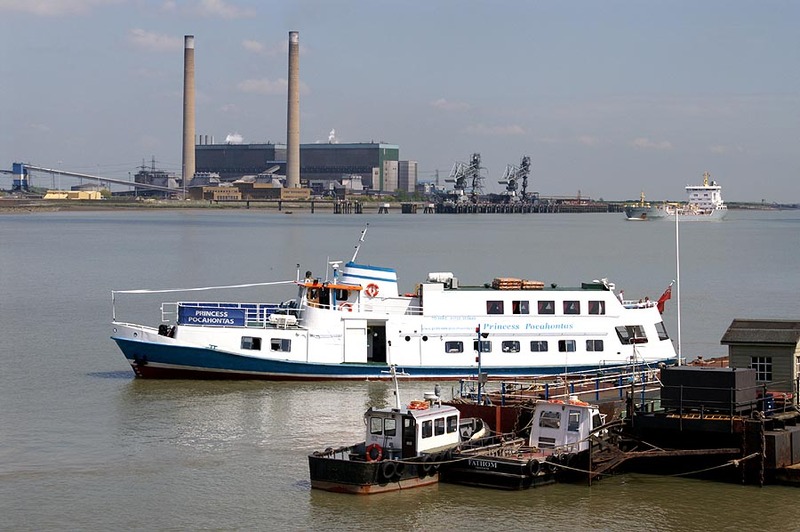 She was bought by the Lower Thames & Medway Passenger Boat Company and used on public sailings and charters from Gravesend to Greenwich, London and as far out as Southend. 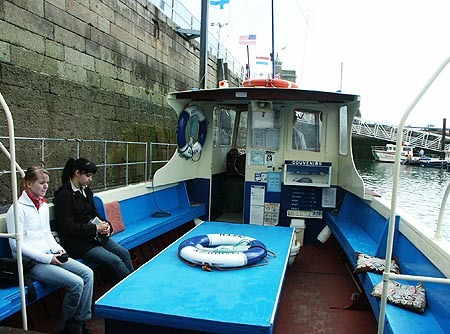 Photo: &COPY; Ian Boyle, 5th May 2006. 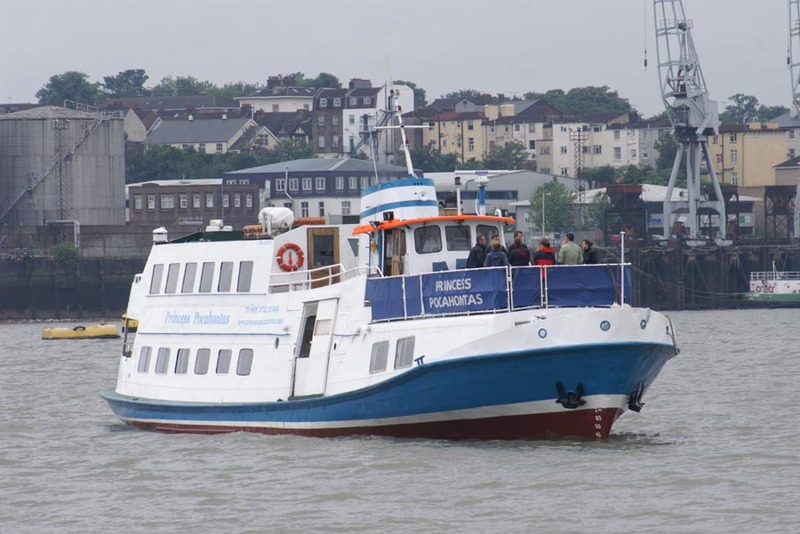 Princess Pocahontas arriving at Tilbury for the cruise. 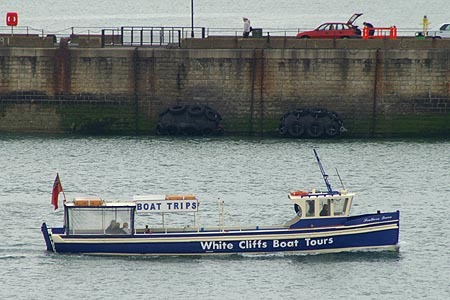 Photo: &COPY; Ian Boyle, 14th June 2006. 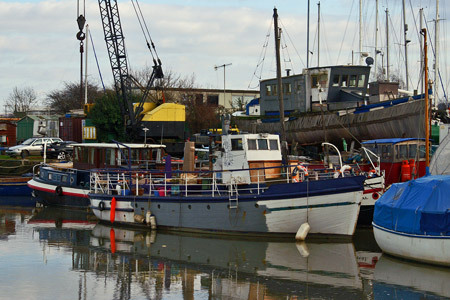 The vessel shown on the Southend-Sheerness ferry below has taken some time to identify. 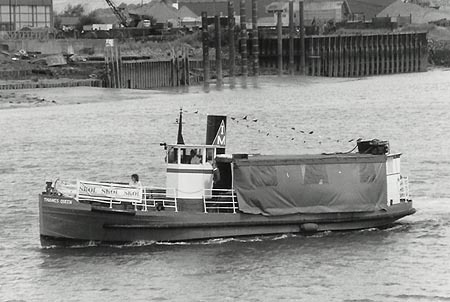 A number of people have made suggestions, but I now beleive it is the Sheppey Queen - can anyone confirm this? 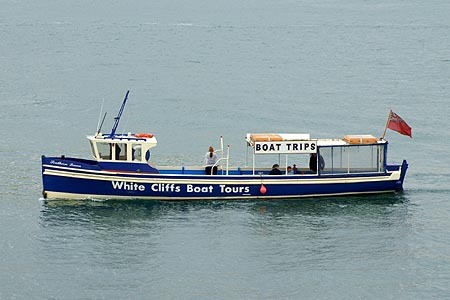 Email: simplon@simplon.co.uk. 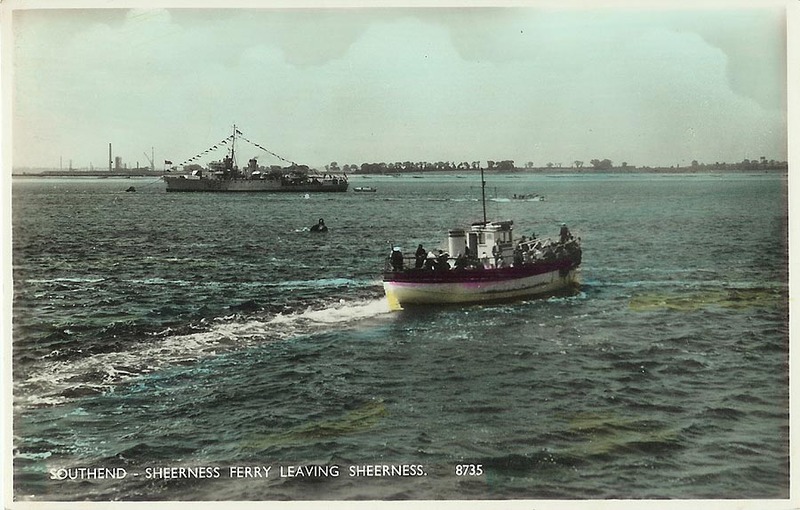 The vessel in the postcard Southend-Sheerness ferry is in my opinion the Sheppey Queen which passed to James Ferguson & Sons, Kilmun sometime in the early 1950's. I think Jimmy Ferguson sold her some time around 1960, maybe 1961. 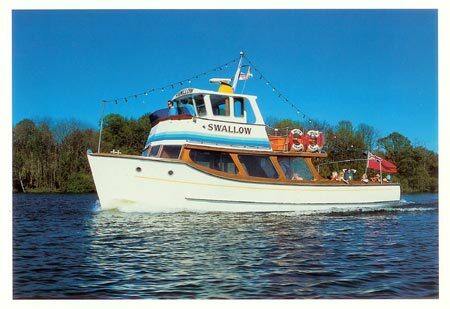 I wonder if this postcard is a view of her prior to her time on the Clyde? 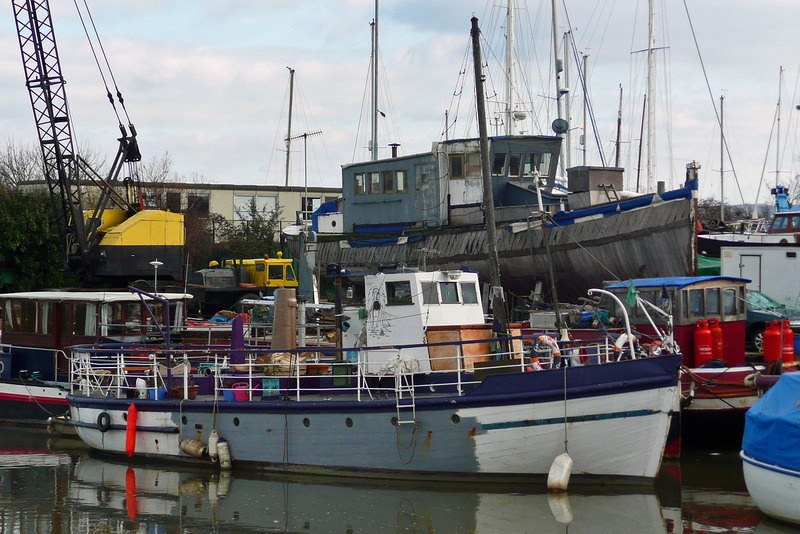 The funnel and wheelhouse are exactly as she appeared on the Clyde. 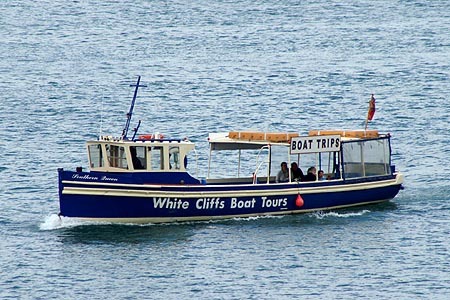 She worked summer excursions from Kilmun, Hunters Quay and Dunoon to Rothesay, Largs, Kyles of Bute, etc. 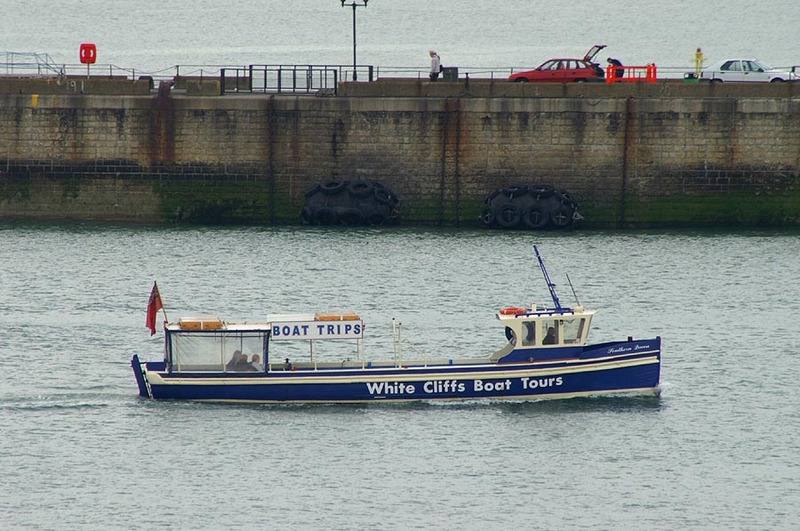 Occasionally on very busy weekends she turned up on the Kilmun-Hunters Quay-Gourock ferry (usually worked by the 40ft Kelvin Launch Sonje Tessa), using Ritchie Bros. slipway at the side of Gourock Pier entrance near the pilot station. 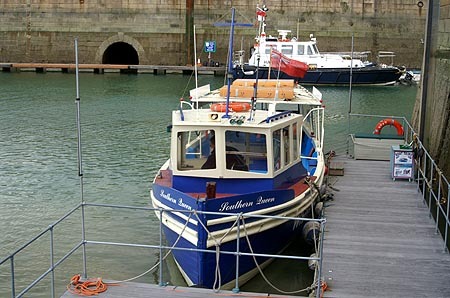 Her stern power was poor, and I have seen her towed off that slipway by a couple of Ritchie's ferries, the Lady Jane Ritchie and the Port Star. I believe the image is of the My Queen (ex-Gondolier Queen). 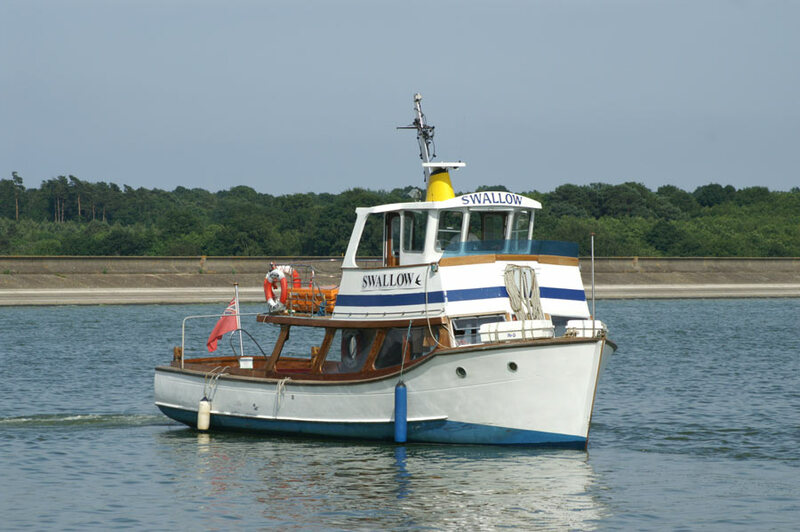 She was built in Essex and used on a ferry in the area, and her hull is very, very similar to the one in the photo. She is also described a the 'Dunkirk Little Ships' website as being almost completely open, with a wheelhouse amidships - and your image seems to fit this description. 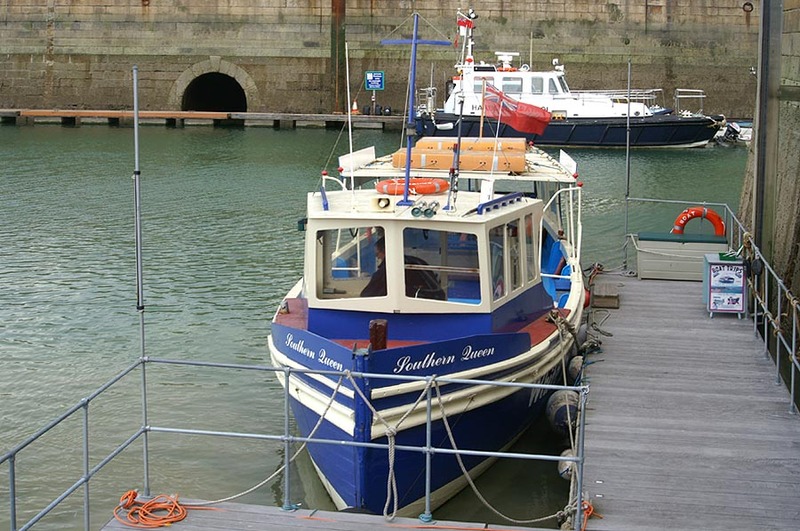 My Queen is now based at Starcross, although she has also been based on the Thames, at Plymouth and at Dartmouth in the past. 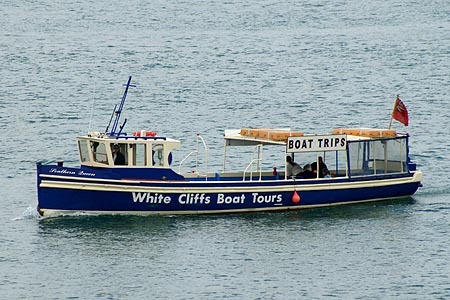 I would like to say it is good to see all this information about the boats. The boat leaving Sheerness is the My Queen. 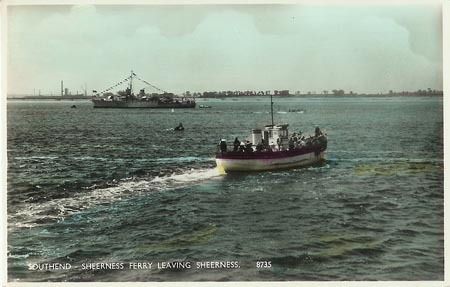 Further to our conversation on "Waverley" I regret I too am unable to identify the vessel on the Southend-Sheerness ferry route. 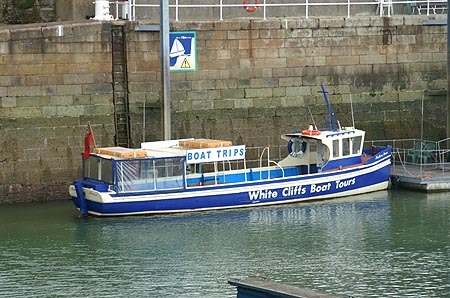 I don't think it's "My Queen" because (1) I believe she had no wheelhouse whilst at Southend and (2) I think your vessel's freeboard is greater than "My Queen". 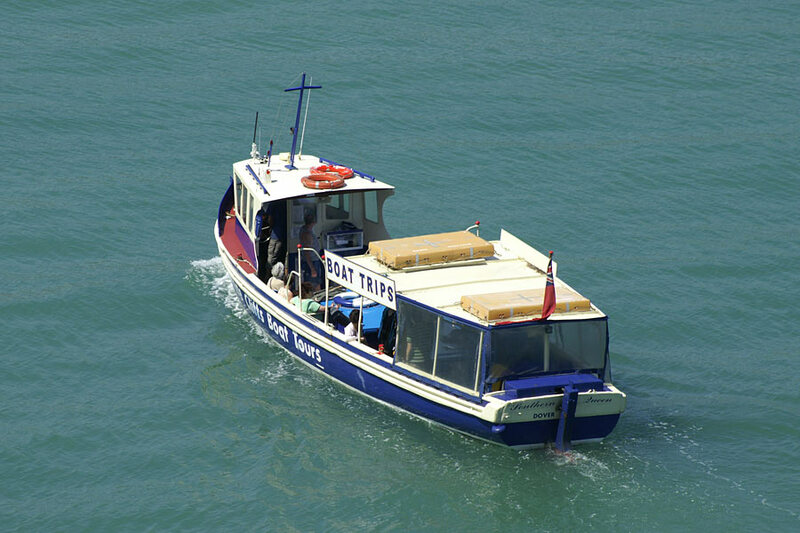 This vessel is the Trevarno formerly owned by Torbay Cruising. Mrs E Wallis & Mr Head owned and ran her from Torquay around 1950 / 1953. She had new AEC engines installed by my father. 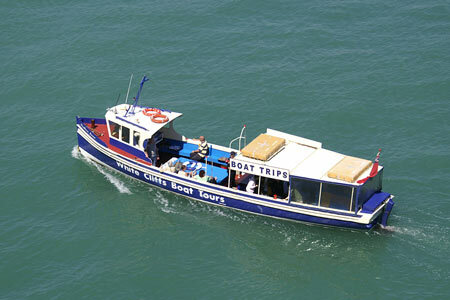 Sheppey Queen the Southend-Sheerness ferry. Published: Shoesmith & Etheridge 'Norman Series' - Hastings. 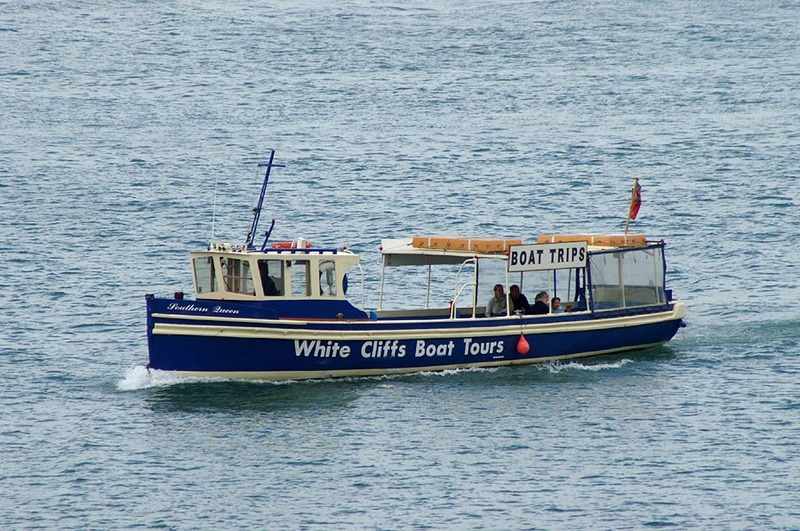 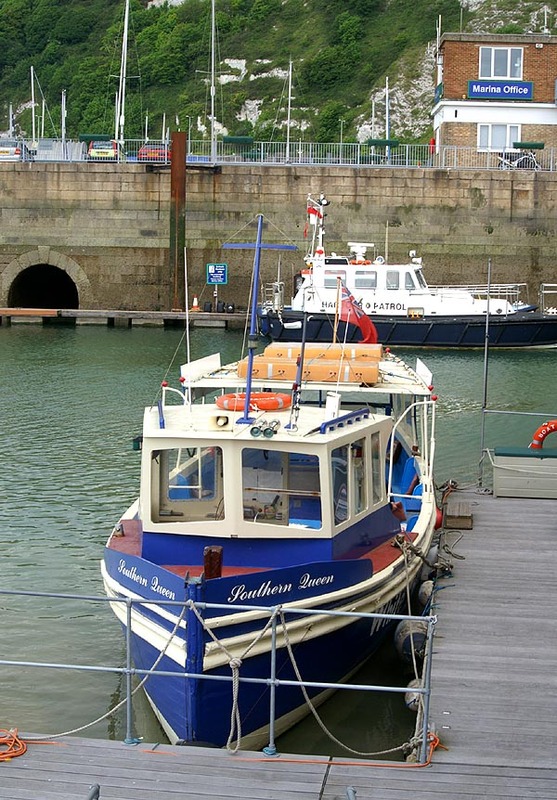 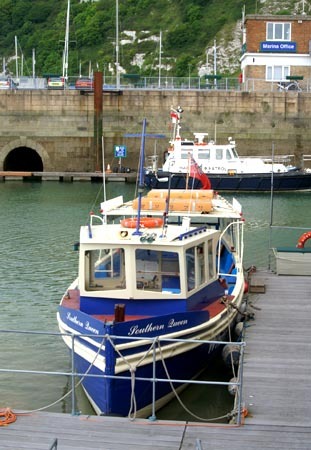 Southern Queen operates harbour trips in Dover at 10:00, 12:00, 14:00 and 16:00 in good weather during the summer (weekends only: April, May, September, October). 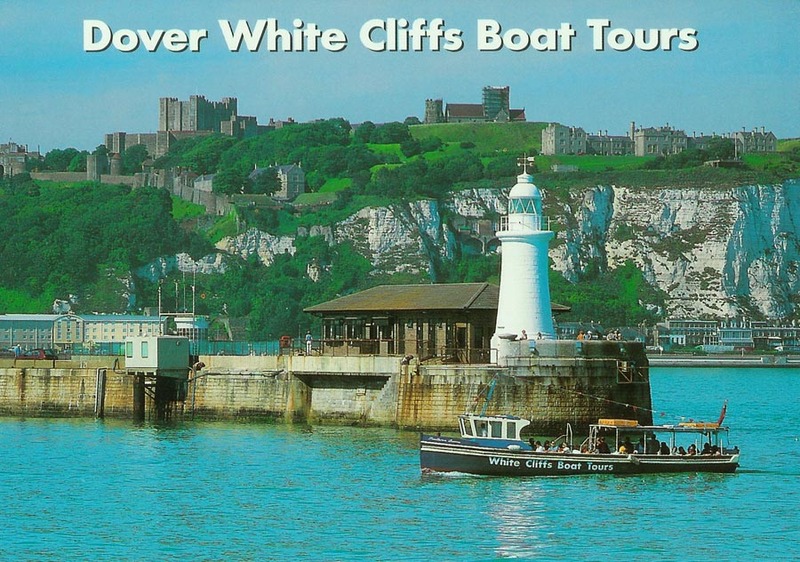 For full details see the larger image of the the brochure. 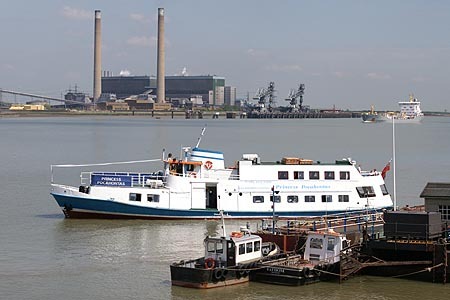 Invicta Line Cruises of Chatham began services between Southend and Strood c.1985, using the Clyde and Thames Queen. 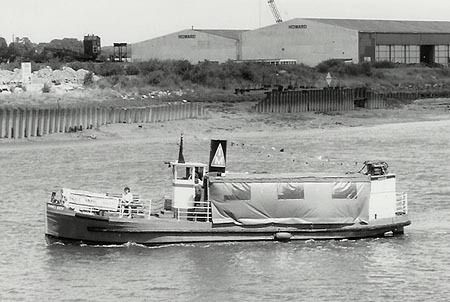 Thames Queen was sold by Invicta Line in 1987, to be replaced by Clairest in 1989.Thames Queen remained in the Thames area for a few years, and the pictures below were taken after her service with Invicta Line. 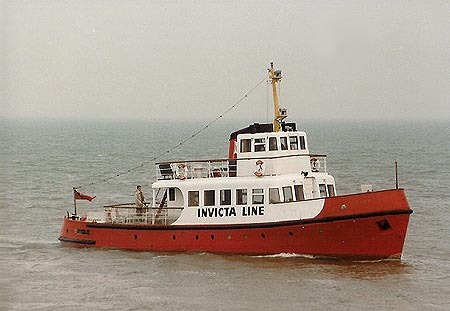 Invicta Line ceased operations c.1992. 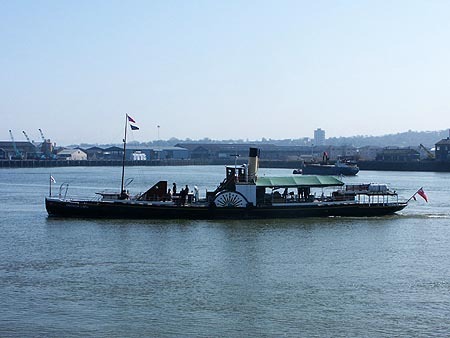 Thames Queen in the River Medway. 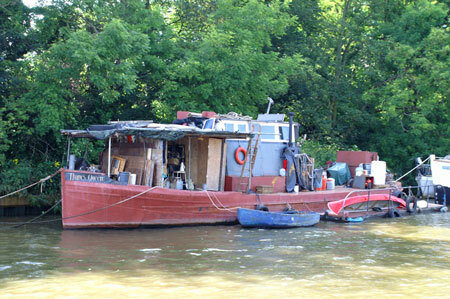 Thames Queen in poor condition on the Thames at Richmond.